The field of forensics actually has a lot more areas and specialities than you may know about. Unlike on television dramas, there are many, many members of an investigation team who work to shed light on a case in real life. Here are some forensic specialisations you probably never knew existed. You probably knew this was going on, but did you know there is a special field of forensics dedicated to hunting down and tracing digital evidence? These are the people who check and compare phone records and security footage, examine the authenticity of photographs, audio, and videos. This field is only growing due to increased device usage by the general public and businesses. Forensic engineers are called in when questions relating to infrastructure, machinery, or environmental contamination arise. A good example of this would be the scene of an automobile accident or a deliberate explosion. They oftentimes are responsible for coming up with answers to what transpired based on physical evidence left behind and the laws of science and physics. There is an entire subcategory of forensics dedicated to verifying the authenticity of documents, handwriting, and signatures. Their work often goes much deeper than that, however, and they must correctly be able to determine what writing instruments were used, what office products were used, whether or not page substitution occurred, and more. They also attempt to decipher destroyed or damaged documents. A rather new field of forensics, forensic nursing brings medicine to the law. These professionals are responsible for collecting DNA and blood or skin samples while interacting with the victim to get a clear picture of what happened. Forensic nurses, like normal nurses and doctors, have to exhibit an exceptional bedside manner and be very empathetic to their patients, as oftentimes they are working with very distraught victims of violence or sexual assault. 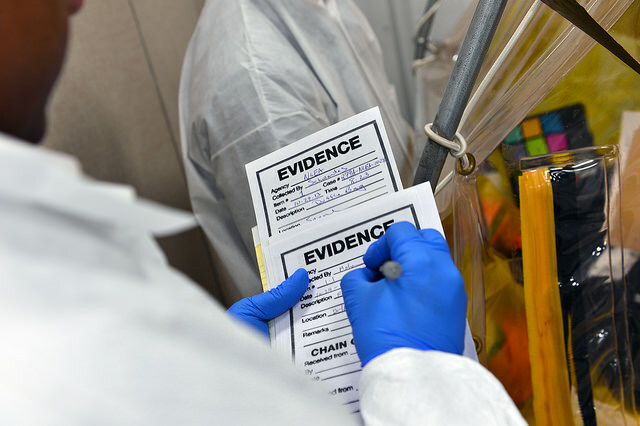 Different medical forensics might specialise more in taking crime scene DNA and checking it. Using high-tech and advanced machinery like a quality dried blood spot processor and the minute science behind DNA sampling, these workers find the truth behind every crime scene. Cold case investigators are the people called upon to use new technology or evidence to probe old cases that have hit dead ends. Specifically, advancements in DNA identification, where samples were once thought inconclusive or unable to be tested, have allowed countless old case closure and even released many people from prison now proven to be innocent. New technologies, procedures, and areas of specialisation are being added to the field of forensics all the time. It is a field that must change in order to get more accurate answers or analyses. Lab robotics is just one new technology being implemented in labs to speed up sample processing where there is a backlog. Companies like Hudson Robotics provide new advances to the field all the time. Forensics can be utilised in just about any field, and there are certainly new specialisations that have yet to be discovered. Do you have any tips on how to get into forensics? Tweet us @CareerCamel to tell us.